This is a sponsored post written by me on behalf of Silk. 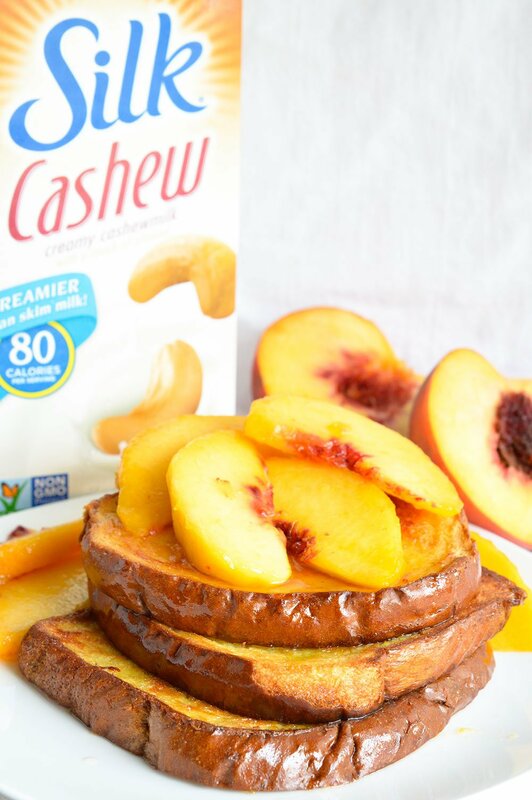 Dairy Free Oven Baked French Toast with Fresh Peaches and Cream! This easy breakfast recipe is full of flavor! 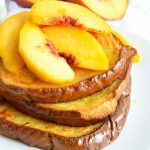 This Baked French Toast is great for those mornings that you want to surprise the kids with a special breakfast. It is a delicious and satisfying meal that will get their day started right! They may think that you set your alarm for 4am to get this meal on the table before school. But that is not the case. 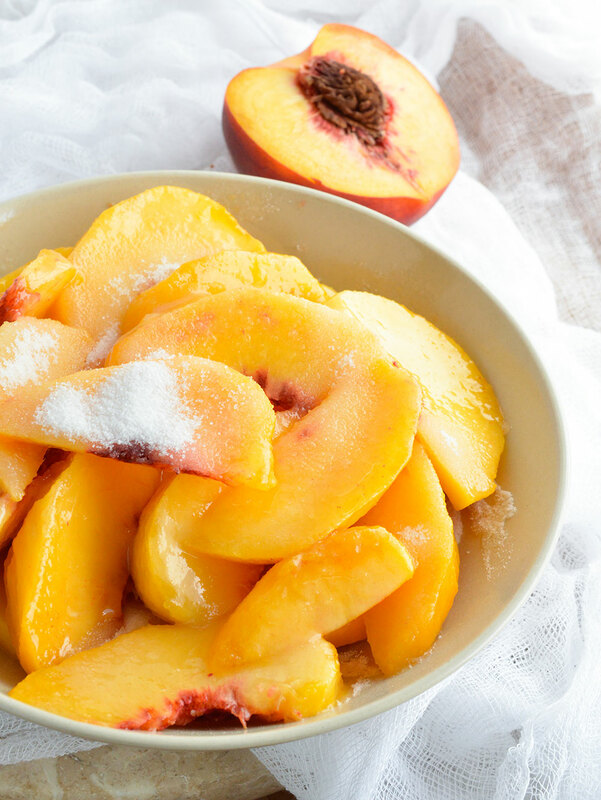 The peaches can be sliced and tossed with sugar the night before. And because this french toast is baked, you don’t need to hover over the stove flipping bread. Pop it in the oven and go about your usual morning routine. This is a dairy free recipe, thanks to Silk Vanilla Cashewmilk. It is super creamy and tastes fantastic! Really, I am hooked on this new Vanilla Cashewmilk! And the Silk Chocolate Cashewmilk is perfect for those chocolate cravings. All Silk products are dairy free, gluten free and enrolled in the Non-GMO Project. 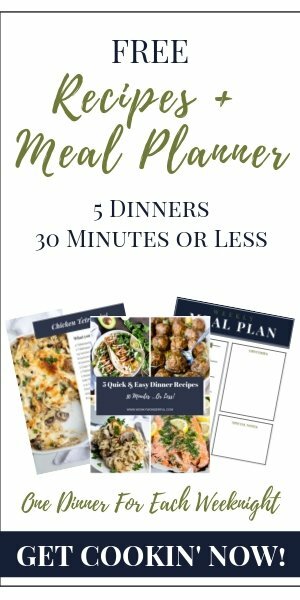 Visit Silk.com to sign up for coupons and recipes! Just a touch of sugar will soften those fresh peaches. I didn’t need any syrup with these sweet, juicy peaches. That right there cuts out a ton of calories! 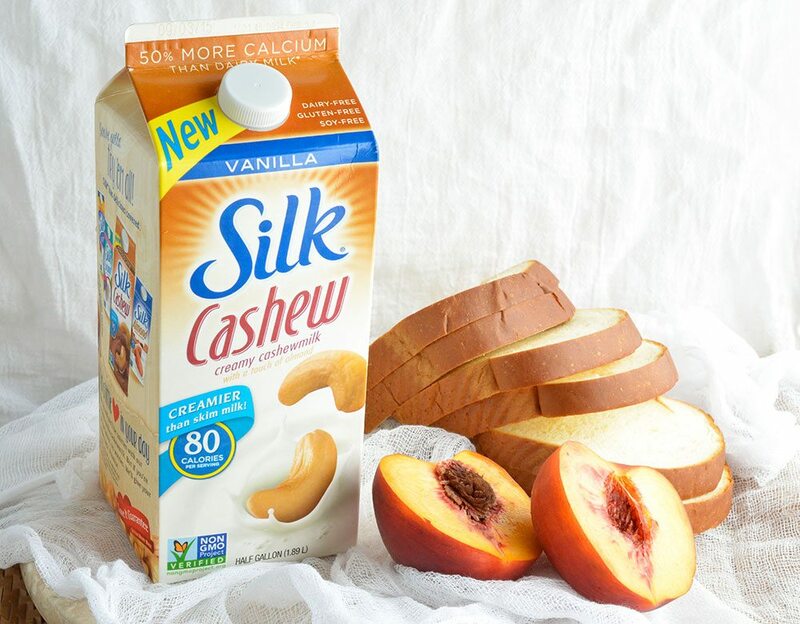 Using Silk Vanilla Cashewmilk as a milk alternative has been a lifesaver for me. My daughter is on a lactose free diet but I don’t want her to miss out on anything! That’s it . . . breakfast is served! 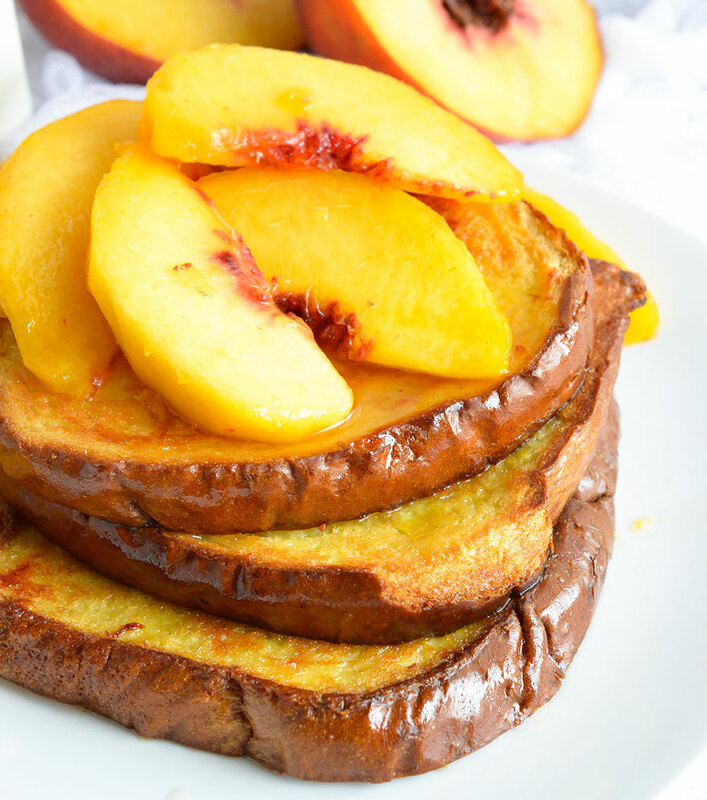 If you want to make this a Peaches & Cream French Toast, top peaches with Silk Vanilla Yogurt. Mix eggs, cashewmilk and sugar. Transfer mixture to a 9x13 dish. 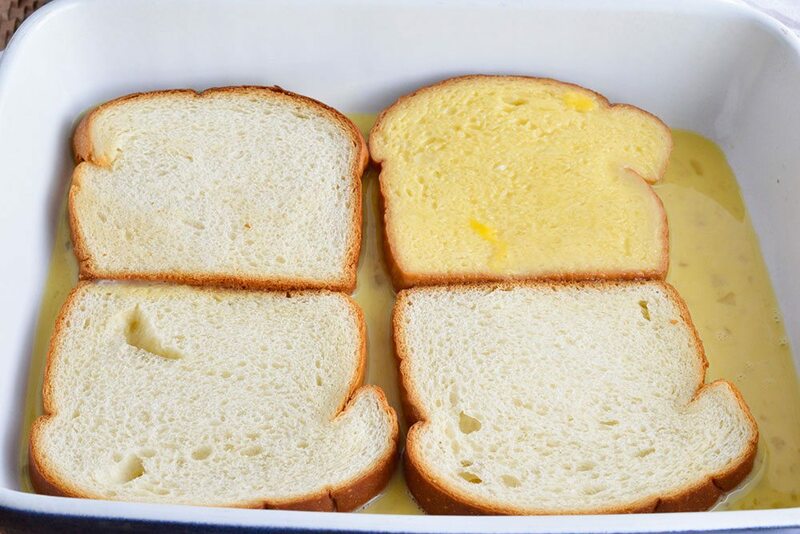 Soak bread in mixture for 30 seconds on each side. Transfer to a large baking sheet that has been sprayed with nonstick. Allow bread to sit 15 minutes. 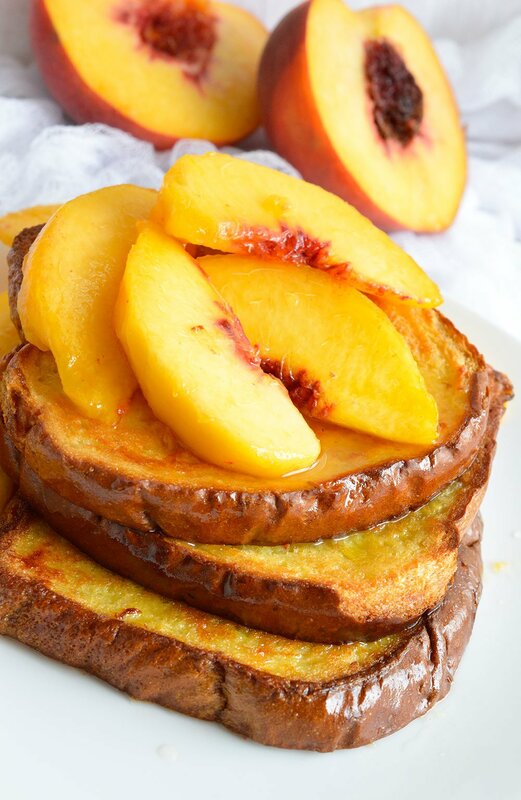 Top french toast with peaches and syrup. 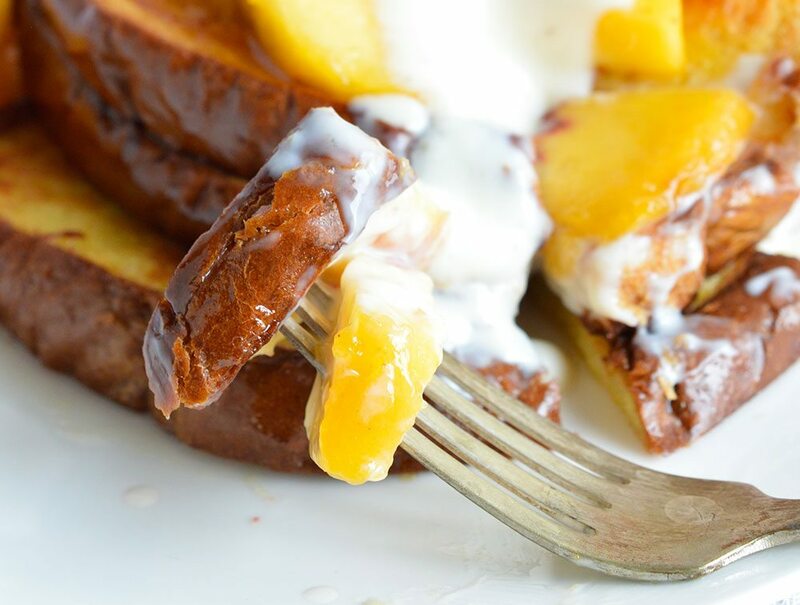 Add a dollop of Silk Vanilla Yogurt for peaches & cream french toast. *Bread often has hidden dairy products lurking inside. Always check the ingredient labels to verify if your bread is in fact dairy free. Or do an internet search for dairy free sliced bread before you head to the grocery store. My kids? Pffft. Why won’t surprise ME with this?! Everything about it sounds/looks amazing. Pinned! This looks amazing! I love baked french toast the best! Oh, my kids would love to wake up to this french toast! I have been dying to try that new silk cashew milk! I haven’t seen it in my store yet but when I do I’m going to grab a few containers because I know I will LOVE it! I also love the ease of making this in this in the oven. How simple is that!